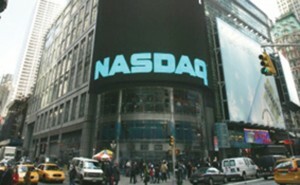 Nasdaq OMX plans to implement operational performance monitoring across its US trading platforms using software from Corvil. The CorvilNet performance monitoring system will provide the exchange group with the ability to simultaneously analyse activity at the network, application and trading layers. The information that is captured will allow it to alert for anomalies in real time and improve systems performance. Diagnostic tools can be used to track the full life cycle of a trade, enhancing the exchange’s ability to respond to queries relating to technical issues, performance levels, or trading outcomes and optimise its INET trading engine. The tool will also be used to support regulatory functions such as tracking outbound data feeds to member firms and the securities information processors who are responsible for collecting quote and trade data from exchanges, consolidating it and, and sending out a continuous stream of real-time price and trade information.